Mountains or ocean? Pyeongchang has both! 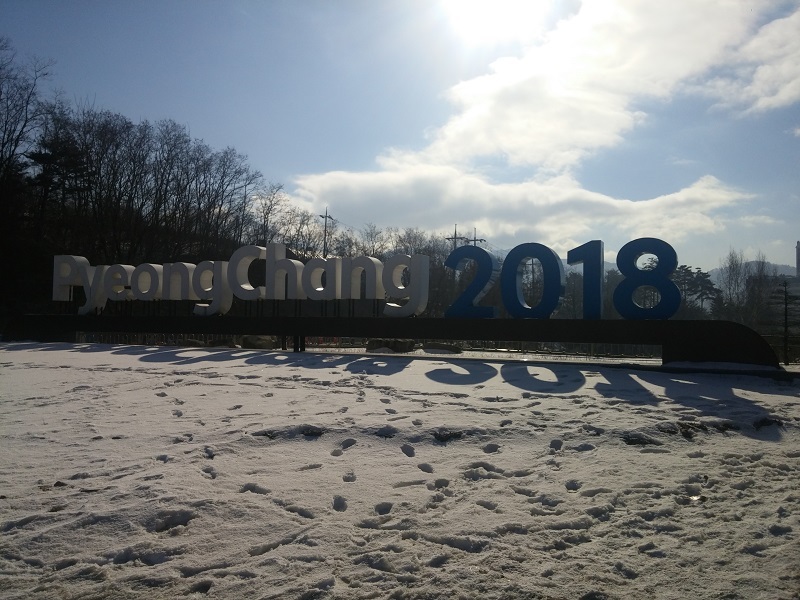 Pyeongchang Winter Games travelers can choose between accommodations in the Coastal Cluster or Mountain Cluster regions of the city. Here are some photos our guides have taken to help you decide. 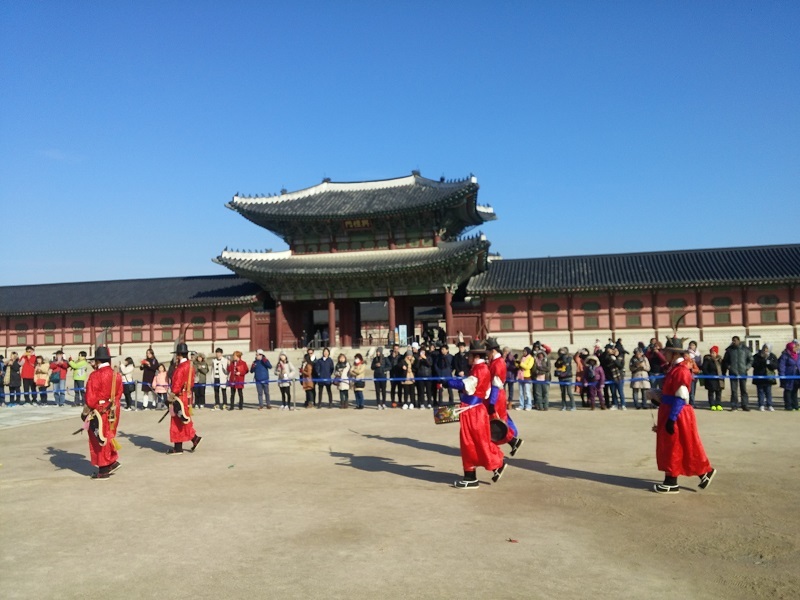 As a bonus, we’ve included photos of Seoul and the Demilitarized Zone, both optional excursions for your stay in South Korea. 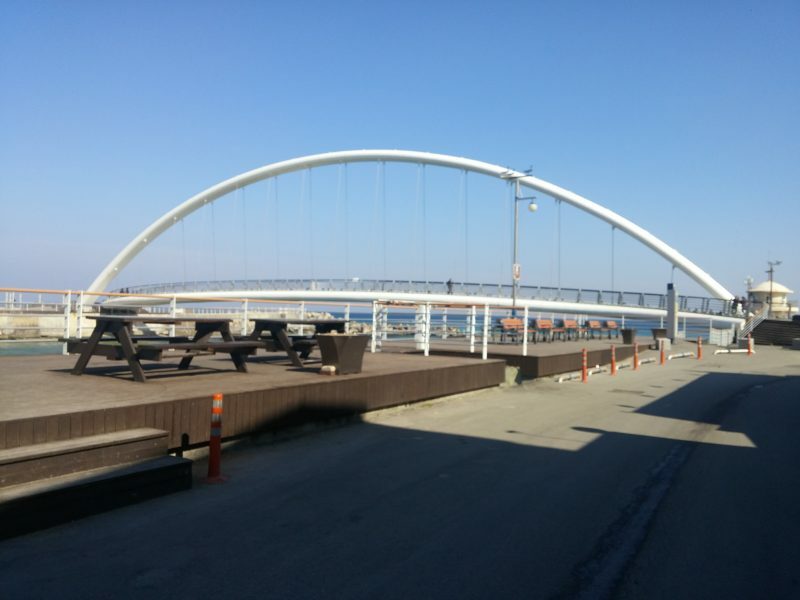 The Gangneung coastal region of Pyeongchang will host the hockey, curling, and skating events in its Olympic Park. 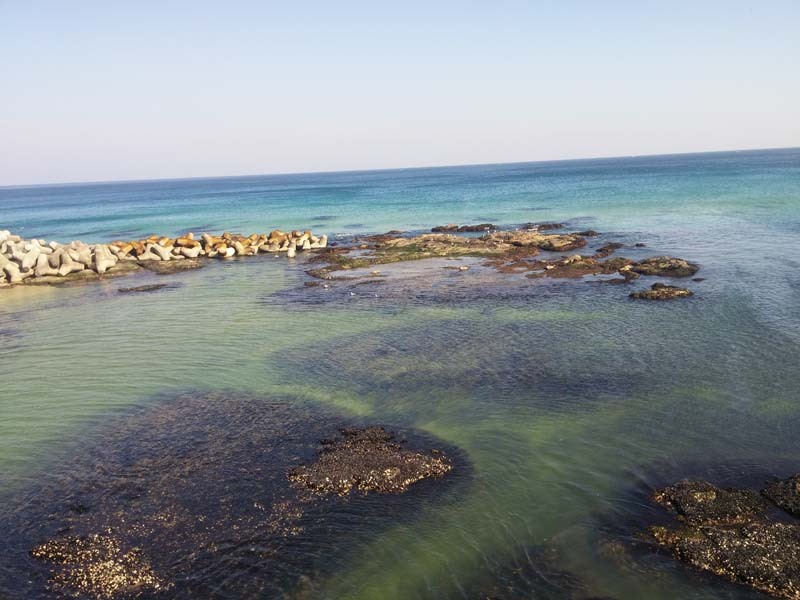 Ocean views and incredible seafood are two major bonuses for visitors staying in this area! 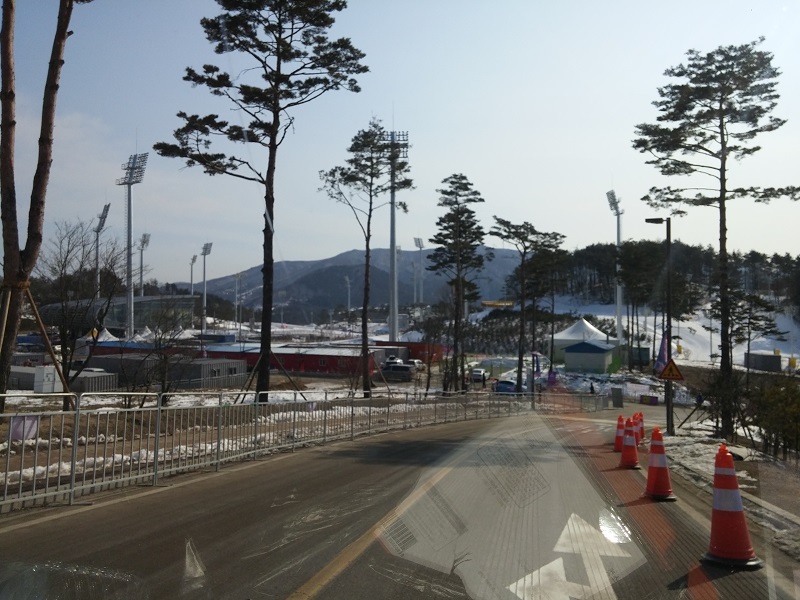 Did you know that the Winter Games overlap with Korean New Year? 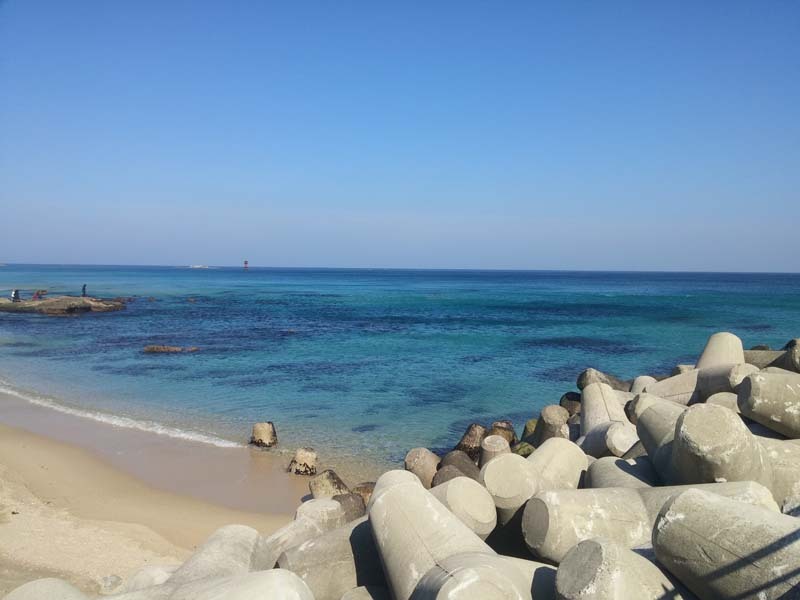 It is Korean tradition to watch the first sunrise of the year, and the Gangneung Beach is a favorite spot to do so. 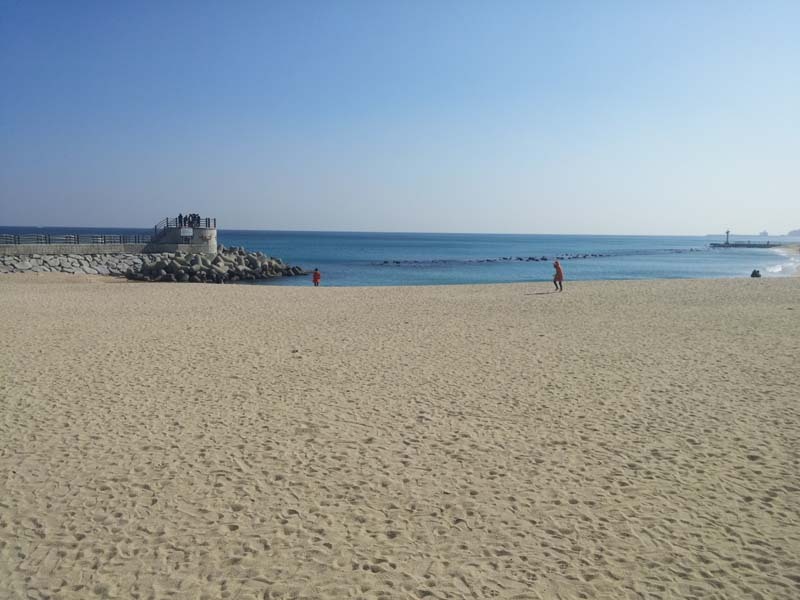 The Gangneung Beach will undoubtedly be a great place to unwind in between events. 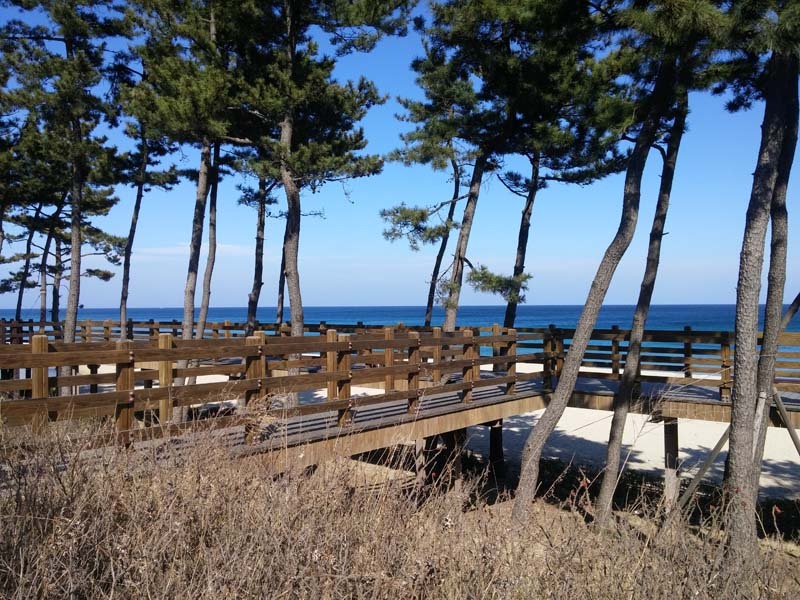 The east side of the Gangneung Boardwalk features gorgeous ocean views. 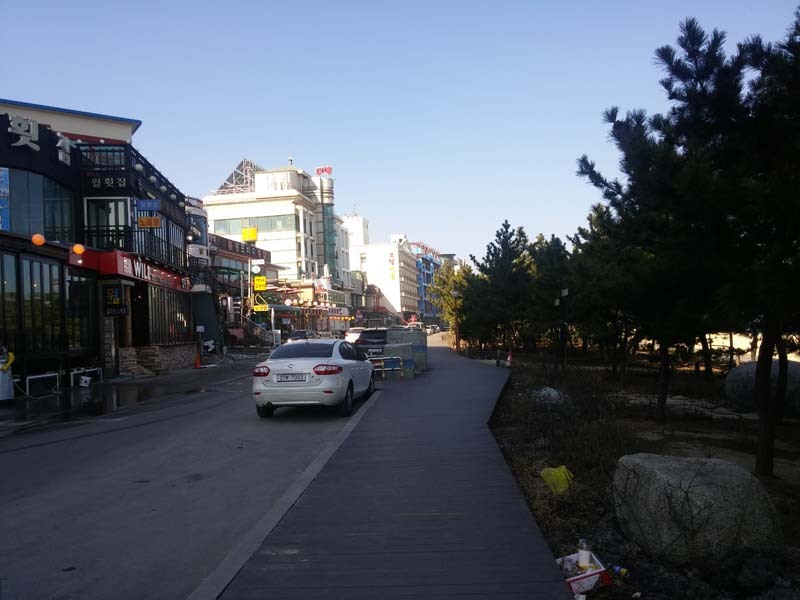 The land-facing side of the Gangneung Boardwalk has tons of shops, restaurants, and other points of interest. 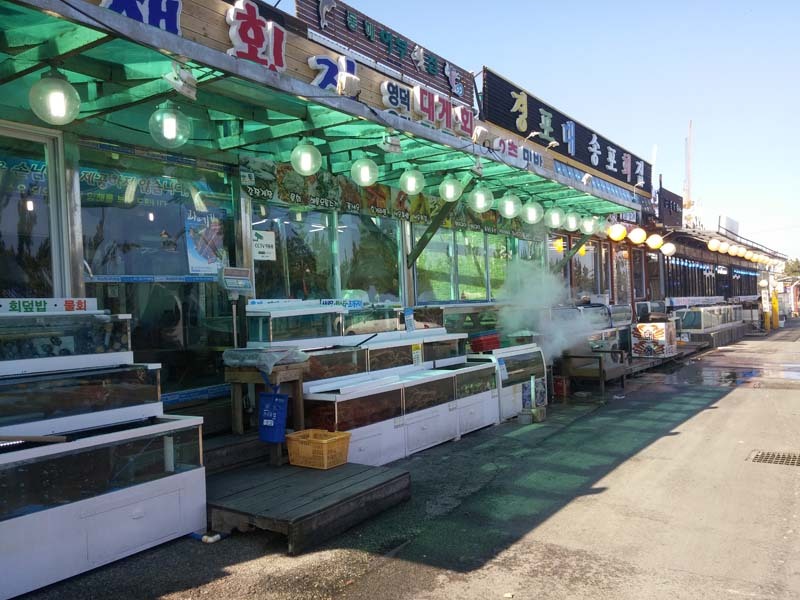 One of many seafood restaurants along the Gangneung Boardwalk. 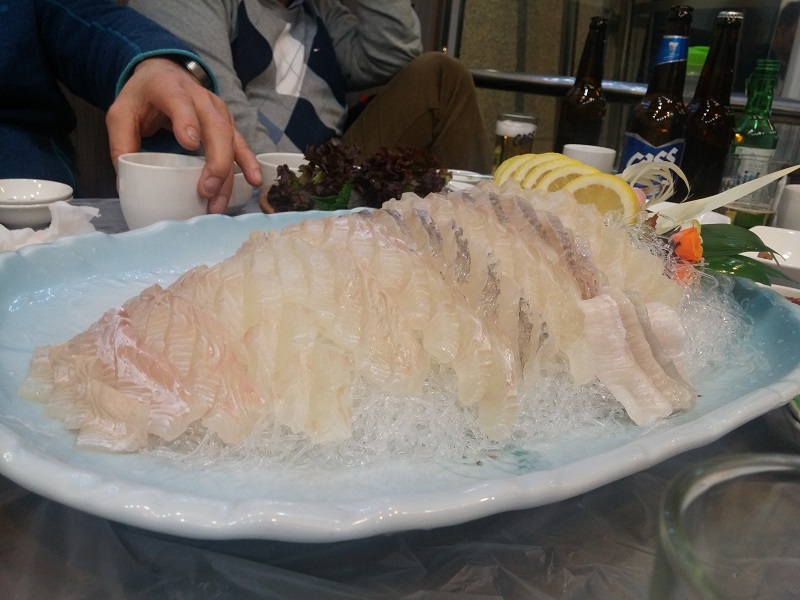 South Korea is famous for their seafood, and the coastal town of Gangneung certainly will not disappoint. 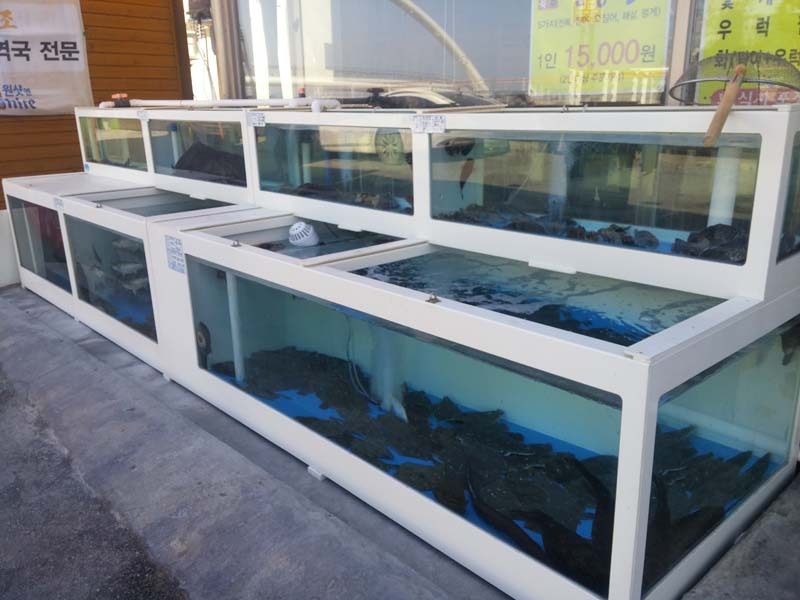 At most seafood restaurants in Gangneung, your food will still be live when you order it. It doesn’t get any fresher! 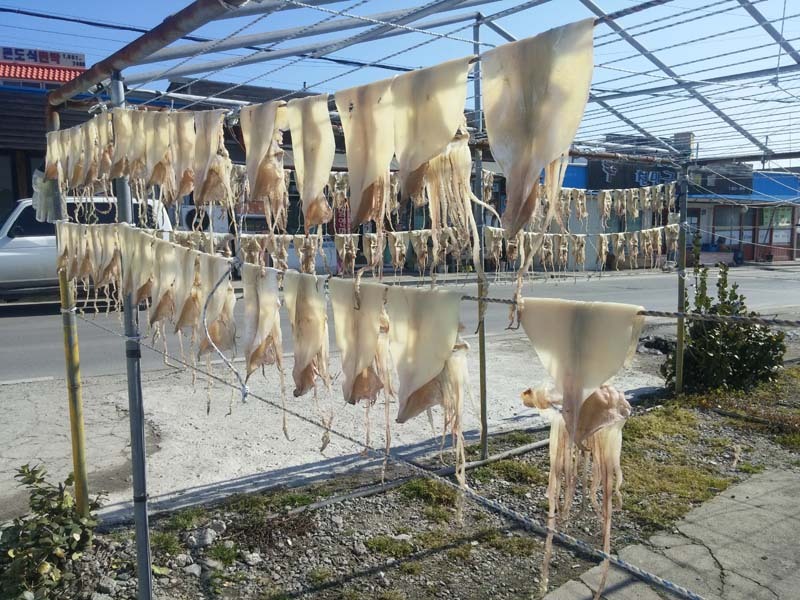 Squid caught offshore is often dried in the sun – a favorite Korean snack all year long. 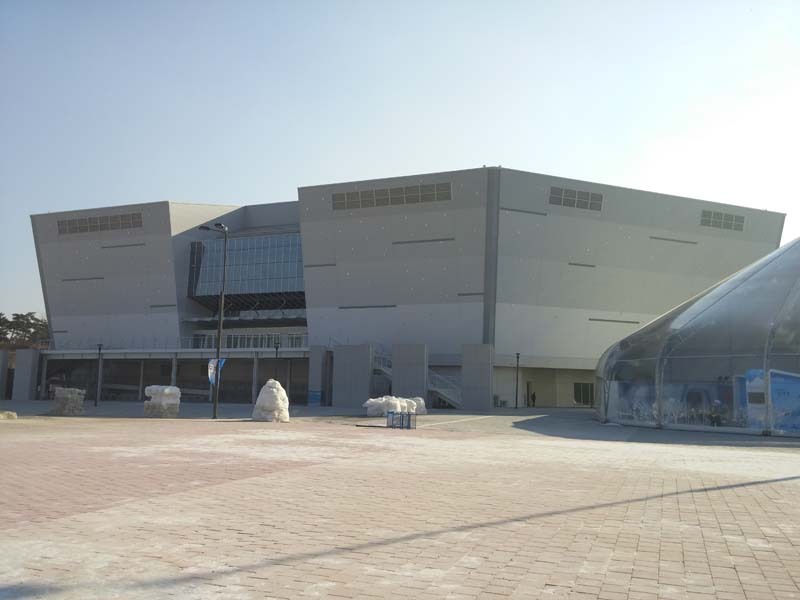 The Gangneung Hockey Center is currently being renovated so as to look its best in 2018. 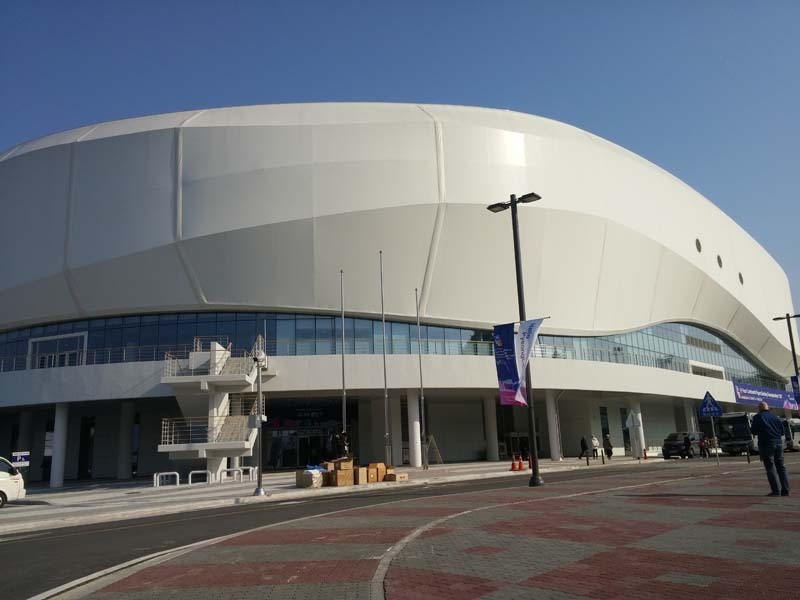 2018 Winter Games hockey fans can look forward to state-of-the-art facilities in the Gangneung Hockey Center. We’re looking forward to seeing this ring light up with fans and athletic talent in February 2018. 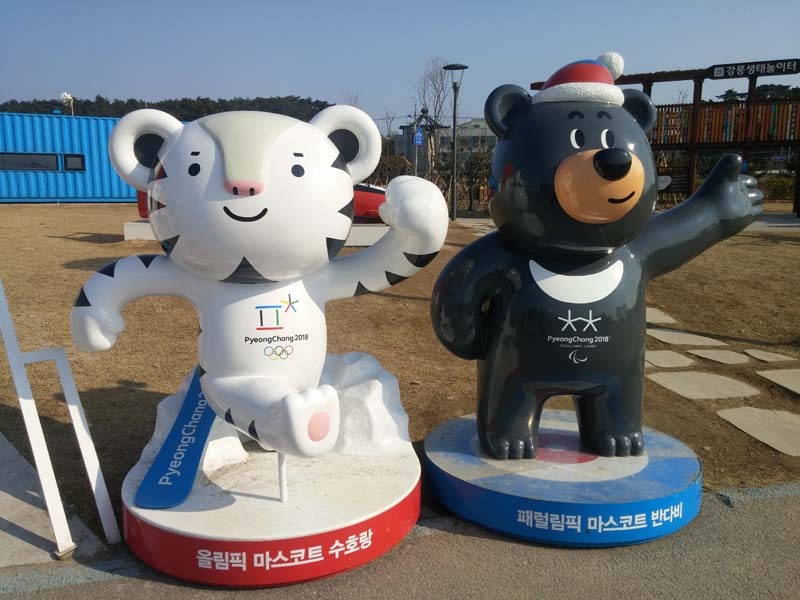 Meet Soohorang and Bandabi, the 2018 Winter Games mascots. Alpensia is a ski resort and tourist attraction in Pyeongchang county, one of South Korea’s most popular winter travel destinations. This dreamy mountain area will host all skiing, snowboarding, luge, skeleton, and bobsledding events for the 2018 Winter Games. Snowy, sunny Alpensia will be a welcome setting for the ski-based events in the 2018 Winter Games. This could be your hotel room view! See the slopes from our hand-picked hotel accommodations. 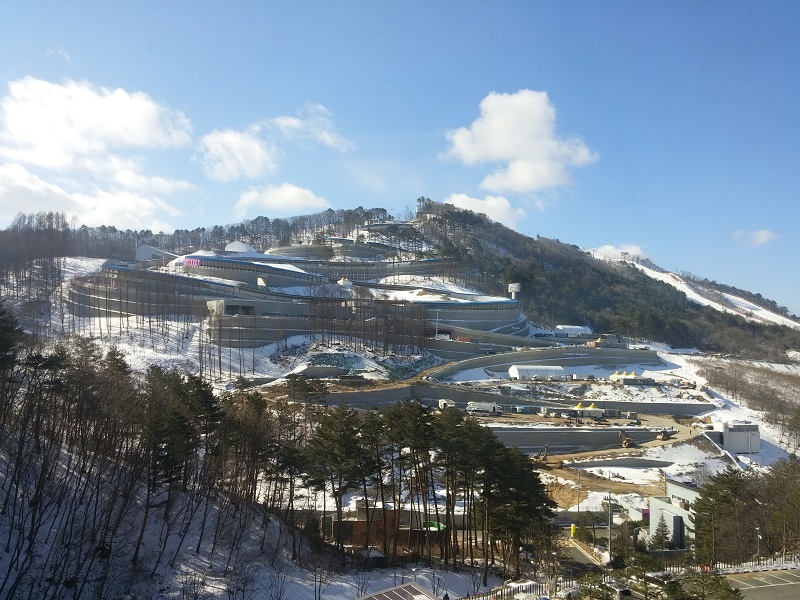 Alpensia is 10 minute carride to the Yongpyong Ski Resort, which has an extensive, full range of runs. 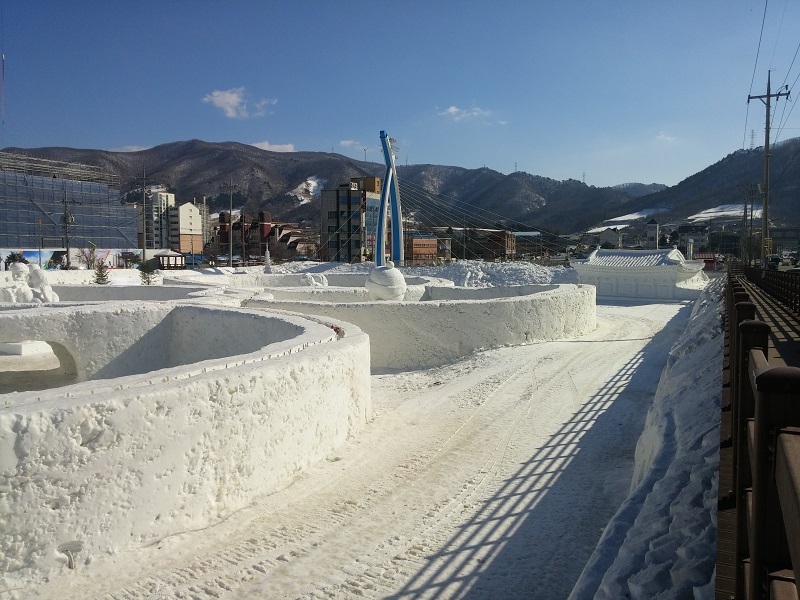 During the ski season, the foot of the range is filled with snow mazes and sculptures. In the spring and summer, there are gorgeous gardens and flower beds planted here. 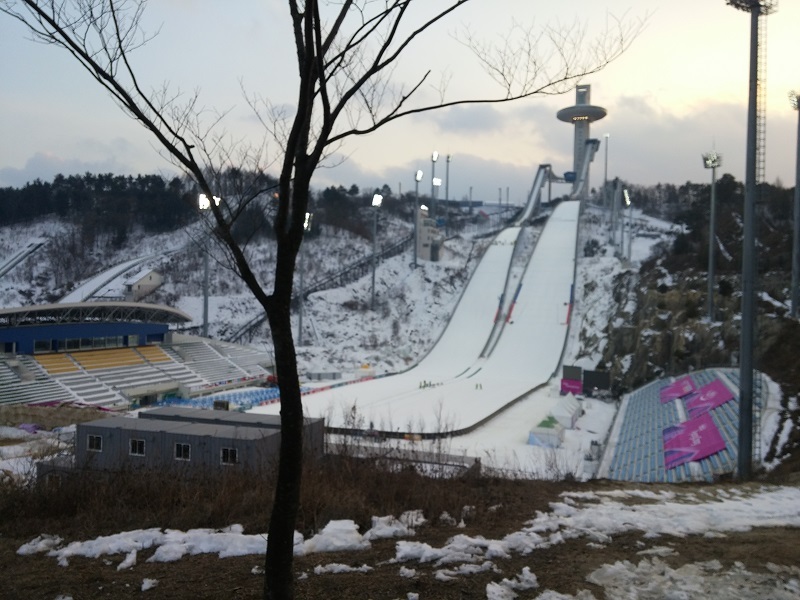 The Ski Jumping event will certainly be a thrilling one – especially with such impressive facilities. Why not take advantage of the 2018 Winter Games in Pyeongchang as a chance to visit one of Asia’s coolest and most interesting cities? Choose to add an overnight stay and city tour in Seoul, South Korea’s vibrant capital city, to your 2018 Winter Games adventure. 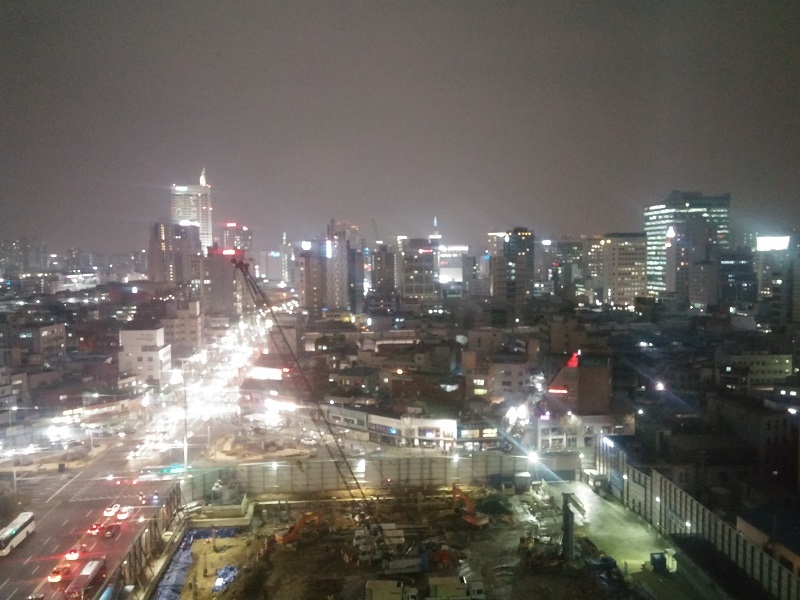 The South Korean capital of Seoul is home to 25 million people. It boasts thriving nightlife, business, tech, and music scenes. The Gwanghwamun Gate dates back to the 14th century and serves as the main gate to Gyeongbokgung Palace. 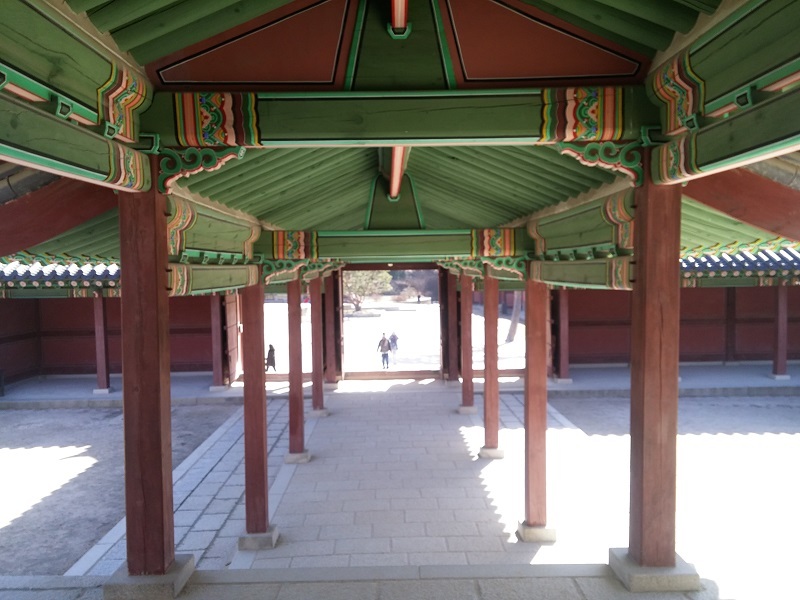 The Deoksugung Palace is located at one of Seoul’s busiest intersections – a perfect representation of the blend of ancient an ultra-modern that this city offers. 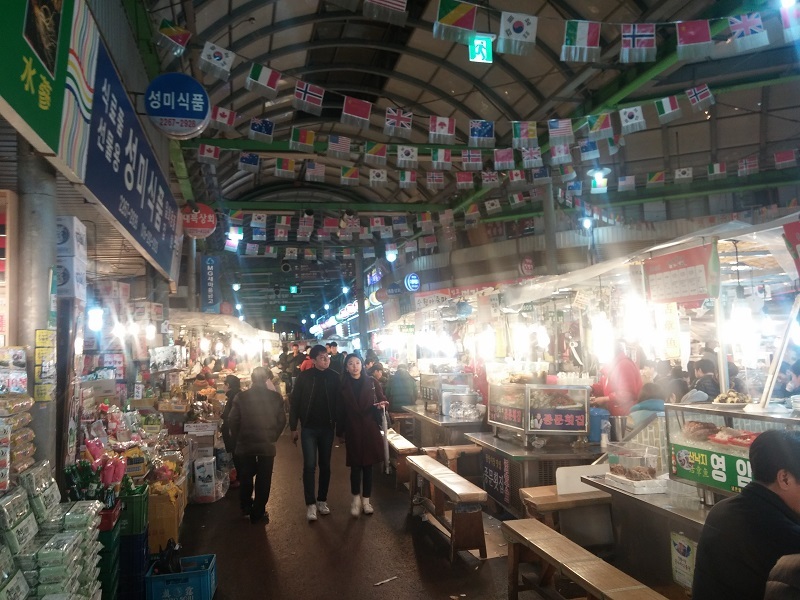 You’re sure to find a unique gift at the Gwangjang Market. 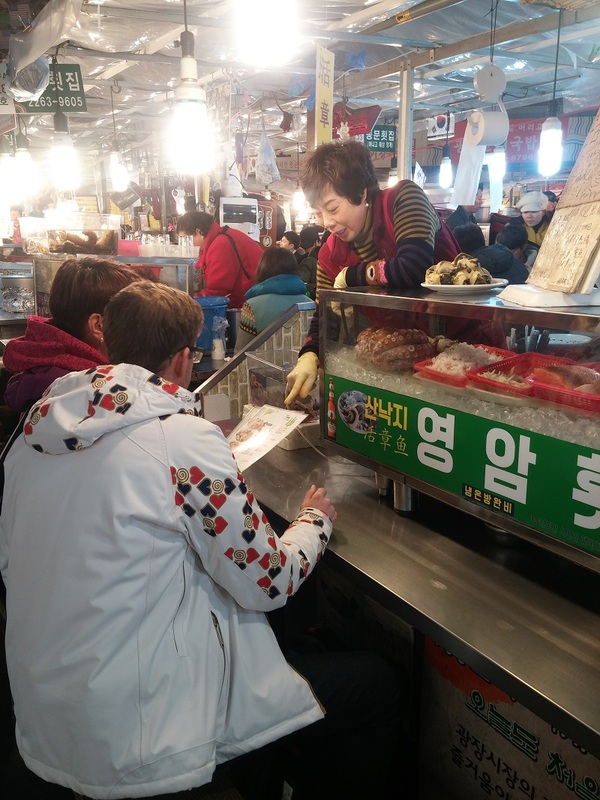 Gwangjang Market also has some of the most amazing street food you will ever taste. 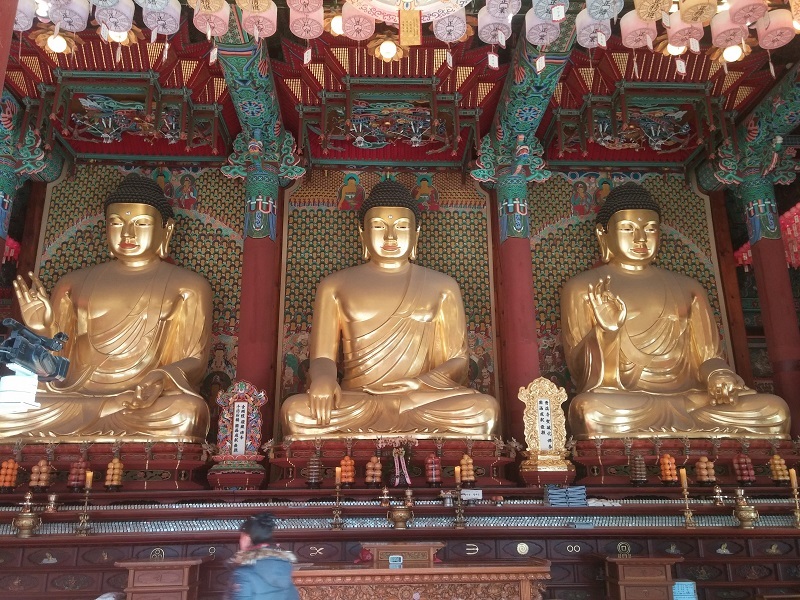 Jogyesa is the main temple of the Jogye branch of Korean Buddhism. 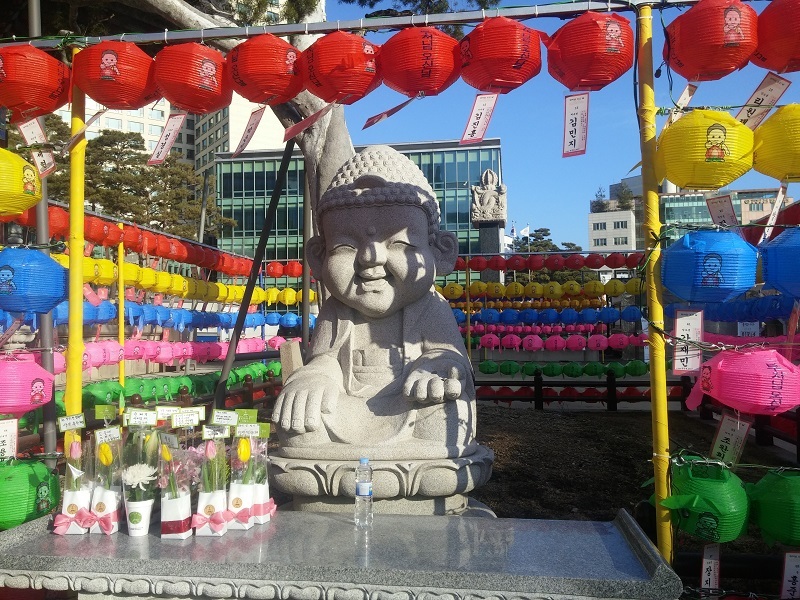 You’ll also see plenty of colorful, modern expressions of Buddhism in Seoul. 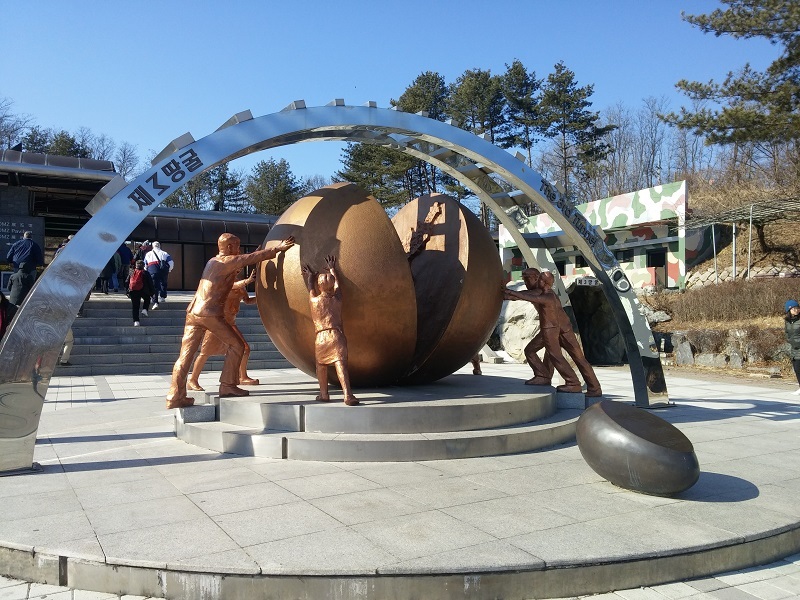 The Demilitarized Zone is one of the most fascinating historical sites in the world, serving as the border between North and South Korea and a monument to the tragic conflict that has separated the two countries. Don’t miss out on a chance to see one of the most politically significant sites of this century. 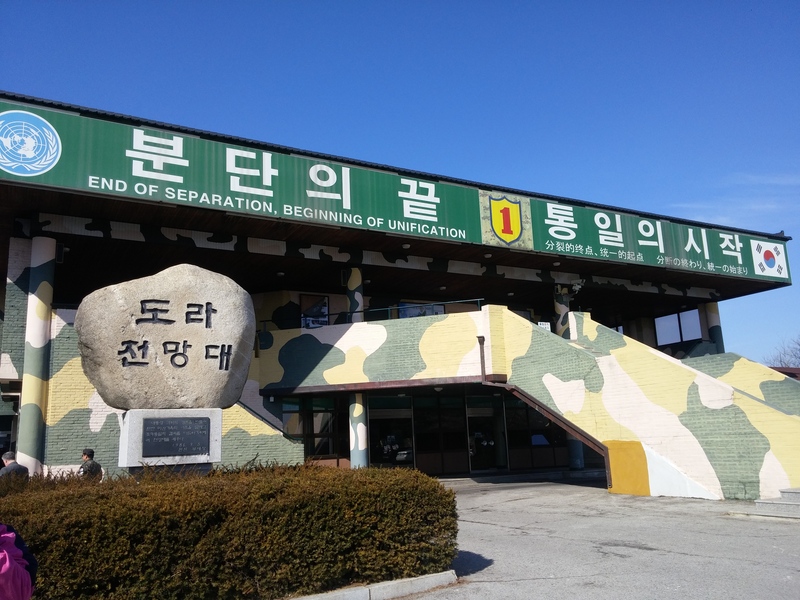 “End of Separation, Beginning of Unification” : Set up in 1953 as part of a UN agreement, the DMZ is 60 miles long, and 2.5 miles wide. The view of North Korea from the South Korean side of the DMZ. 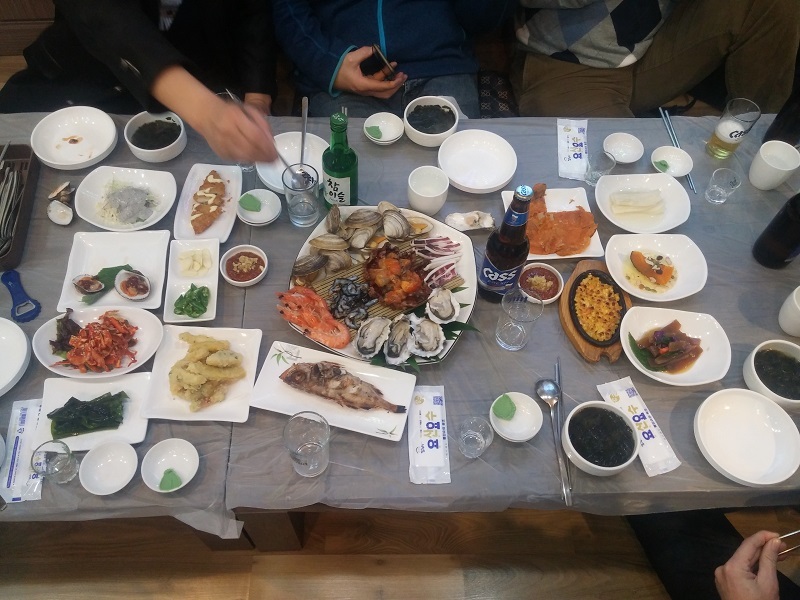 Fresh seafood is a staple in the Korean diet. 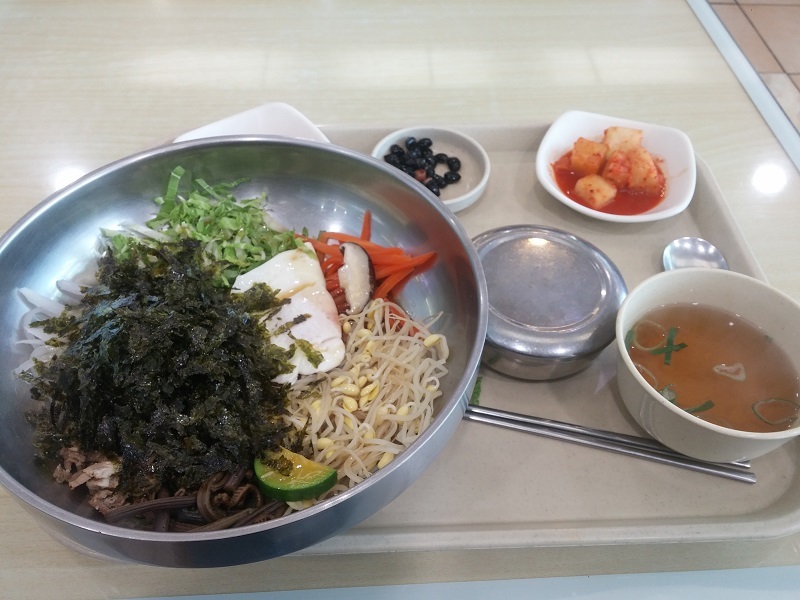 Bibimbap, anyone? The most amazing blend of flavors and textures. Family-style feasts allow you to try a bit of everything. 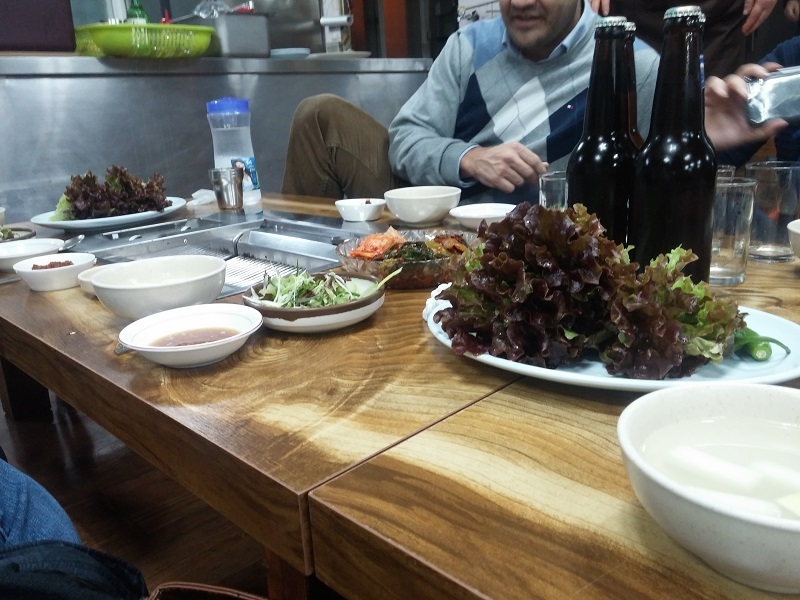 Meat lovers rejoice – Korean BBQ is world-famous.